Attachments are optional. To add a file from the Media Library as an attachment you have to specify the Media Library element ID. To find out element ID for specific file go to the Media Library admin page, find that file, hover mouse over it and check URL in the status bar of the browser. Number shown after post= is an element ID. Alternatively, you can specify full filename with absolute path. To specify multiple files use comma-separated list of element IDs, filenames, or variable pattern. For instance, you can use result from Get list of files action. For safety reasons, PHP and JS files (php and js extensions) will not be attached. 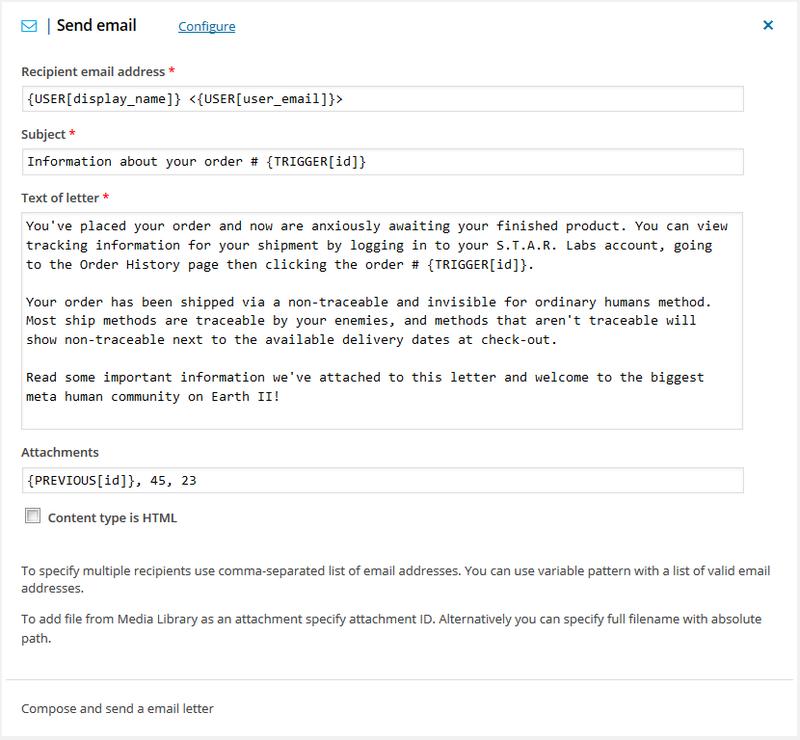 This action sends email by using wp_mail() function.